Share Outlook calendars, contacts, tasks, email, and Windows files with other users and computers both across your local network and through the Internet. The program is extremely easy to set up and use, and requires no IT knowledge, servers or administrators. What is more, irrespective of the sync mode, your data is always safe as it is kept only on your PCs, not in the cloud. Easily share Microsoft Outlook folders with other Outlook users no matter if they are in your local network (e.g. in your office) or on the other side of the globe. This opens up a whole new world of teamwork possibilities. The program comes with the File Sharing App that will allow you to share documents pretty much the same way as with popular cloud sharing tools. Our tool, however, never stores your files on external servers, which means they are protected from loss and hackers. You can choose to share your files and Outlook items only in your local network or via the Internet. Neither of these methods keeps your files in the Cloud – your files are always saved only on your PCs and fully encrypted while they travel through the Internet. Keep your Outlooks and mobile devices in sync. The program works with CodeTwo Sync for iCloud which means you can sync your public folders with the iCloud tree in Outlook and propagate them to your iPhone or iPad. You don’t need to learn new software, as this program seamlessly taps into Outlook and Windows. All you need are Windows PCs (no servers required). If you want, you can manage access rights to Outlook folders, restore deleted items, backup data, and more… with just a few clicks. Your data is protected from loss and unauthorized access as it is always stored only on your PCs. Even if you synchronize Outlook or Windows files through the Internet, they are never stored on any external servers and are fully encrypted during the transfer. You don’t have to think of clicking any buttons – selected folders are synchronized automatically and in real-time. It means that any changes in synchronized folders are instantly visible on other computers. Since we keep your files on your PCs, when you are away with your laptop or have no Internet access, your data is still accessible and you can continue working on it. All changes will be updated when you’re back online. You get one year of free email tech support and 3 months of live support via telephone and online chat. We can also remotely connect to your computer to help you with the program. 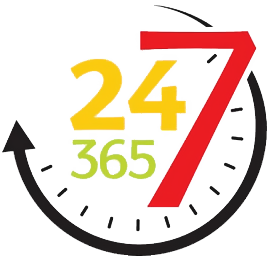 We’re available 24 hours a day, 5 days a week. Thanks to the Administration Panel of CodeTwo Public Folders, you can manage everything from shared folders access rights to backups to licensing or restoring removed items. And it’s all just a click away. Managing access rights can be done directly from the Administration Panel. You can quickly create the same access rights for all users or grant specific access rights to selected team members. This will help you make sure all your shared data is always safe. It’s not only about sharing data like Outlook calendars or files straight from Windows folders – if you’re a team you might also need to synchronize your Outlook views and custom forms to make sure you all have the same workflow and nothing bogs you down. 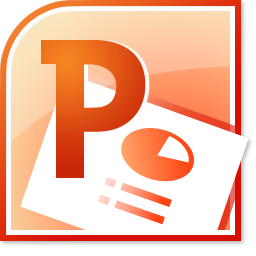 Not only you can share your own Outlook folders with other users, you can also create public folders which work like in Microsoft Exchange Server. CodeTwo Public Folders wraps storage and synchronization around Microsoft Outlook, and enables real-time sharing of all types of folders in Outlook between multiple computers. The synchronization can take place in your local network or across the Internet, which means you can share Outlook with your teammates no matter where you are. No matter if your PCs are connected to the network wirelessly or via an Ethernet cable, the synchronization process is always automatic and transparent to users. The program also supports mixed Outlook environment, so you can e.g. sync Outlook 2010 with Outlook 2007 or other versions. The program is very easy install and use, requiring no maintenance once configured. Naturally, you can always access the Administration panel to take a deeper dive into program’s settings, manage access rights to shared folders, etc. And it’s all safe. We know how lots of people are averse to keeping their data in the cloud – that’s why we store your files on your PCs only. And when you sync over the Internet, we only transfer your data and have you covered with our encryption algorithms. CodeTwo Public Folders is not only an Outlook sharing application. It is equipped with the File Sharing App, which supports secure file transfers between multiple computers, both in your local network or across the Internet. There is no size limit (other than your hard drive) and you can synchronize up to 100 computers. The File Sharing App works similarly to the popular file sync and backup cloud-based solutions but it is not a cloud drive as it keeps your files only locally on your machines. This means you can sync up all types of files, including all your sensitive data, without having to worry about security issues, since your data is not stored anywhere outside your computers, and no one other than your team can access it and read it. The program allows you to create shared Windows folders that other users can subscribe to. Once users subscribe to your folder, it is synchronized to their computers letting them access, view and edit all the files. Naturally, any changes they make in the files or the folder structure are immediately synced back to all computers. You can also grant access rights to your shared folders and let only selected users see or edit them. Keep in mind that the File Sharing App works even if you don’t have Outlook on board. 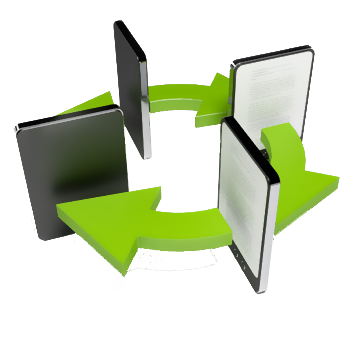 What is more, you can start sharing your files right after the installation since the configuration process is a breeze. You don’t have to tinker with any firewall settings or open any ports in your router. Just install the program and let it walk you through a very simple setup wizard. CodeTwo Public Folders lets you choose if the synchronization between your computers takes place in a local network only, or also via the Internet. If all of your computers are in the same area network (e.g. in the same office) you can resort to LAN synchronization. If, however, some of them are scattered across the city or the world, you can also easily share data between them by enabling the Internet access to the Syncing Master. What’s pre-eminent in this solution is that there is no cloud! There are no intermediary servers and off-site data centers that host your personal information. Your data is always kept only on your machines, and thus it is safer than ever. Even if you choose to share Outlook data and files across the Internet, CodeTwo Public Folders will encrypt them and sync them directly between your computers. You can be sure no one will get their hands on your data. We strive to develop software as intuitive and as easy to use as possible. CodeTwo Public Folders has been designed to be administrated and used by literally anyone, anywhere. It requires no IT expertise, no administrators, servers and no additional hardware. You can start using it right of the bat after the installation, and resort to the configuration panel only if you need to tweak your settings. We wanted it to be a smart, install-and-forget program that improves your collaboration and the performance of your team. You will only need Windows computers (with or without Outlook) to share files across them. The program seamlessly taps into Outlook and Windows, and works in the background, which means you can focus on doing your job as opposed to having to mess around with the mechanics. When you install the program, you will see an additional tree of folders in Outlook called C2PublicFolders. These are your public folders, which are visible on all of your computers. 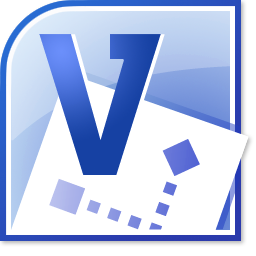 What is more, you will also get a File Sharing App that can be accessed from Outlook’s ribbon or the system tray. We know that the initial configuration of any sync software might put off lots of users, especially if you have to implement it on multiple computers. This one is simple. The installation wizard will guide through the entire installation process, and the Quick Tour that pops up once the installation is finished will help you be up and running with the program in no time. You don’t have to fiddle with any firewall or router settings, or change anything in your network preferences. Just install the program and start sharing Outlook and Windows files right away. If, for some reason, you get stuck during the setup, just ask for assistance – it’s free. The program consists of two applications (that you will be asked to install after launching the installer):the Syncing Master and the Client Apps. The Syncing Master is a brain of the entire synchronization (both of Outlook and Windows data). You must install it only on one of your computers. The Client Apps must be installed on every machine that you want to sync up. 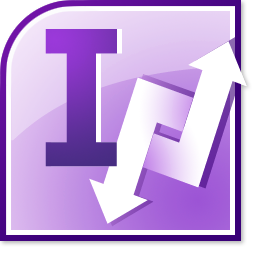 It is divided into the Outlook Add-in that is responsible for communicating with the Syncing Master and enables sharing data in real time in Outlook, and the File Sharing App, which will let you share files between computers. To let you quickly test the program, you will be connected to the Demo Syncing Master right after the installation. Owing to this feature, you can install and test the program in 5 minutes without any configuration. Switching to your own Syncing Master afterwards can be done with a few clicks. This also means your files are not susceptible to hackers no matter if you sync them via local network or the Internet, and if you use a wireless connection or an Ethernet cable. The Administration Panel of CodeTwo Public Folders will let you create backups and easily restore your database if needed. What is more, your shared stuff is also kept on your local PCs so if you forget to back up your data and the PCs with the Syncing Master blows up, you can still use one of the local copies to restore your files. We also give you full control of what can be access and edited in your own office. You can easily manage access rights e.g. to hide selected shared folders from some of your own workmates. Unlike other popular Outlook syncing programs, CodeTwo Public Folders has no sync buttons, no delays, no sync schedulers – so you can finally focus on doing your job. Outlook sharing and Windows files synchronization is absolutely automatic and occurs immediately after any change is made in a shared folder. You also don’t need to remember to send anything to your workmates. Just add a new calendar appointment, a new contact, or modify any item, and your change is instantly visible on all other machines. 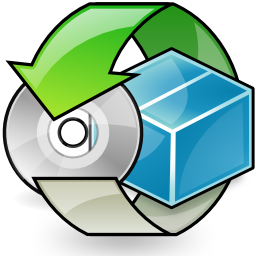 Additionally, thanks to using low level system libraries and interfaces, CodeTwo Public Folders is extremely efficient and, even though it’s closely integrated with Microsoft Outlook and Windows, it doesn’t slow their work. CodeTwo Public Folders enables you to work with shared data also when you are disconnected from the Internet. This feature is especially useful for those who frequently work in the field and have no mobile Internet. It also gives you 100% uptime with your shared data since you are independent of the Internet connection. When you leave the network or if you are away and have no Internet connection, you still can work with shared data. In this case, all changes you make in Outlook or Windows shared folders are saved locally and will synchronize with the other PCs once you re-establish connectivity with the company network. The data from your local machine will automatically, and without any action on your side, synchronize with the Syncing Master updating all items that have changed since you left the network. Frequently, some machines are powered off while other machines are on, and computers sync data. In this case, when the computers are powered off, they will not receive updates, but they will sync automatically once they are powered on and the connection to the Syncing Master of CodeTwo Public Folders is re-established. CodeTwo Public Folders can be implemented in every office environment within minutes. No professional IT knowledge and maintenance are required for it to work properly. Accessing the Administration Panel is also password protected, so you are sure only authorized users are able to change settings, manage access rights, restore removed items and so on. CodeTwo Public Folders not only enables you to share Windows files and Outlook calendar, contacts, tasks and email – it will also let you fully control who can access and edit this data. The Administration Panel will allow you to create and manage password-protected user accounts. Your teammates will need those accounts to connect to the Syncing Master and synchronize data. What is more, the File sharing and Outlook sharing tabs will let you define specific access rights to shared folders in Outlook and Windows. In Outlook, apart from sharing data in public folders, users can share personal folders with others. In this scenario, the user who shares the personal folder chooses the access rights to it. The rights to personal folders can also be changed by the user who can access the Administration Panel. The management of access rights is indispensable and considerably expands the capability for teamwork management. It lets you choose folders that will be visible for selected users, and choose users who will be able to add, modify or delete items, or create new folders. CodeTwo Public Folders allows you to keep a unified look of shared Outlook items within the entire office. The advanced synchronization settings of the program's Administration panel enable the synchronization of custom folder views and non-standard, user-defined forms. Using the Outlook native customization options, the administrator or project manager can create a preferred customized view of a shared Outlook folder. The view of this item can then be applied to other computers during the data synchronization. Apart from folder views, CodeTwo Public Folders will also let you synchronize non-standard Outlook forms created in MS Outlook's built-in Design form tool. After publishing a custom item in the Outlook shared folders tree, it will be available for other users and synchronized with other PCs as well. These two features altogether make CodeTwo Public Folders a highly flexible collaboration tool that can be fully adjusted to the needs of a given team or company. When it comes to sharing Outlook between computers, there are two types of folders that you can share with CodeTwo Public Folders: public and personal. Public folders are not attributed to any of the users and the rights to them can be managed in the Administration Panel. Public folders are created in C2PublicFolders tree and they are visible to other users right after you create them. Working on them is exactly the same as working with Public Folders on Exchange Server. You can also share data by giving other users access to your personal folders. To share your personal folders with your workmates, select users in the network to whom the data will be visible and specify the rights related to the actions that can be made on the folder items. The user who is given access to a personal folder by anyone will see this folder in ‘Other users’ shared folders’ in C2PublicFolders after opening it from the menu. The ability to share personal folders in Outlook is a great advantage, as you do not need to change the way Outlook is used. You don’t need to change your habits, as the work with your personal calendar, tasks, mail and contacts will not change. You can still use reminders and easily sync data with your smartphone or tablet. 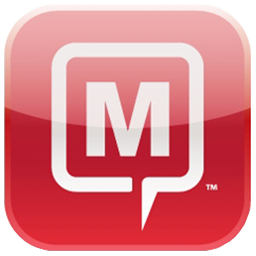 Outlook now has a much broader range of application as a teamwork tool. Once you start sharing selected folders, other users will be able to create new entries directly in your personal resources. They may be able to view and update your personal contact database, or access you Inbox or Sent Items. CodeTwo Public Folders is a smart program that lets you easily share Microsoft Outlook and Windows with other users. No matter if you are a big or small office, a bunch of friends working on a project, or just a family, you can quickly setup an environment that will let you share your Outlook calendars, contacts, tasks, email – you name it. What’s more, you can also automatically synchronize selected Windows files and documents across your PCs. You can decide if you want to share your data in your local network or through the Internet. Both Outlook and Windows sharing takes place only between your PCs, keeping your stuff away from the cloud, hackers and text-mining robots that surface targeted ads. By using a common contacts folder in Outlook, it is possible to create a global company contact list available for all teammates. Just create a new public folder with contact items in CodeTwo Public Folders and it will be automatically visible to other users. This way when the new clients’ contact details are added, they immediately become available to the rest of users in the company or in its branch. Depending on the way your data is organized, contacts can be grouped accordingly using a folder hierarchy. This solution is somehow similar to storing data, e.g. 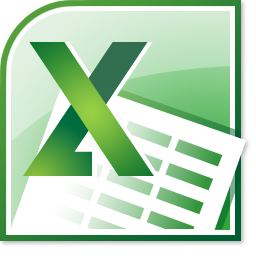 in Microsoft Access, but it offers many additional benefits, such as the clients’ details appearing directly in Outlook. It also enables simplified sending of promotional e-mails to the groups of recipients, classifying customers, easy data searching, and using the Outlook’s advanced built-in methods of displaying contacts in Outlook. What is more, CodeTwo Public Folders will work equally well as a shared contact database in a company which representatives work from home or are frequently in the field with their laptops, iPhones or iPads. The program can be integrated with iCloud letting your users synchronize shared contacts with iDevices, and access Outlook contact details anywhere. Since the program also supports the Internet access, laptop users with mobile Internet connection or telecommuting employees can also stay up-to-date with company contacts wherever they are. And even if you have no iCloud handhelds or the Internet connection outside of your company, the option to work in the offline mode will let you access shared Outlook contacts and other folders wherever your computer is. The new data you will input or the updated client details will automatically be synchronized with other computers as soon as you reestablish the connection with the Syncing Master. By using public folders with contacts (explained in Shared company contacts in Outlook) employees can use the contacts directly in their Outlook address book. In order to do that, they have to choose the Show this folder as an e-mail Address Book option in the folder properties that can be found in the Outlook Address Book tab. From now on, contacts from the folder will be displayed in the users’ address book and the users will be able to send e-mails to the selected people in a simple manner. The public calendar in Outlook can represent a resource used in the company by many people (e.g. : a car). Creating a fixed date in the calendar means the car is booked for a certain period. The data can in a detailed way describe who is booking the car, what for and for how long. You can also set access rights for the resource folder, so that users cannot delete bookings created by other users. Owing to this, every employee knows exactly when the resource is going to be available and can plan their timetable accordingly, maximizing the resource utility. CodeTwo Public Folders provides an opportunity to have an efficient reservation and resource management tool directly in Outlook, which constitutes a friendly and very well-known application to most company’s employees - there is no need to buy entirely new software suite. Another example of possible application of public calendars as a system of appointments and bookings can be found in doctor’s offices and auto repair shops. A separate calendar can be attributed to each doctor or mechanic. What is more, combining CodeTwo Public Folders with CodeTwo Sync for iCloud will let your team view and update shared calendars directly from iPhone, iPad, a web browser or even Mac. Public calendars can display schedules and descriptions of employee activities. A good illustration parallel to this feature would be a school timetable for individual classes. In this case, every calendar represents a timetable for a group of students - one class. As a result of placing all data in one public folder, every member of the group is able to view the timetable. CodeTwo Public Folders provides an ideal solution for a secretary who organizes meetings and daily schedules for the manager. The manager shares his/her personal calendar in Outlook, and the secretary makes relevant changes in it from another computer. A shared calendar will considerably facilitate their work - new meetings are mainly created by the secretary while the manager has the right to track them and introduce necessary changes. Each change to the calendar is instantly visible to both of them. The use of CodeTwo Public Folders does not change anything in the standard features of Outlook such as reminders, organizing meeting, synchronizing data with mobile devices. Moreover, the manager, as the owner of the calendar, can mark some elements as “private”; they will not be visible to the secretary, even though she enjoys full access rights to the manager’s calendar. The above scenario for the calendar can work equally well for other types of folders such as: contacts, mail, tasks, journal, and even notes. Public calendar can also be used as a folder for employees to enter their presence or absence from the office. They can record their working time, absences caused by business factors or leave, and also mark their future holidays. Due to such solution, a team manager can instantly watch who is present at the moment and what tasks are being performed by those people. This enables appropriate planning of employees’ activities and helps in project management. Access rights for shared folders can be set in such a way that respective employees cannot see one another’s calendars. All calendars of these employees will be seen by the person in charge of their attendance in the office. Frequently, the mail that is received (or sent) by a company needs to be accessible for multiple users. For instance, in a company that receives orders by e-mail, owing to CodeTwo Public Folders each order can be processed by any employee, depending on their availability at the moment. 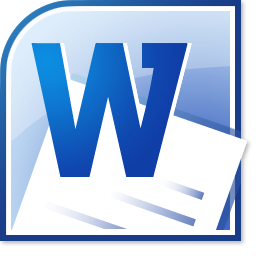 In this case, Outlook’s rules can be used to direct mail to appropriate shared folders, depending on the sender’s or recipient’s address or other attributes. Each group of employees check their individual folder for orders. When a new order is received, one of the employees starts to process it. At the same time, it is marked as “pending” or forwarded to a different folder in order to inform relevant co-workers. This solution helps to distribute customer service and orders between employees. It is no longer a problem to track the order and see who it is being completed by. 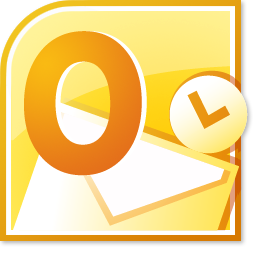 Sharing of mail can be done using Outlook’s rules, which will copy the messages to selected public folders, or directly by sharing the personal folder in the Inbox. See also Creating a common inbox and outbox. Using the structure of public folders you can create a virtual messaging board in the company. Folders can be divided by topics. Users can create a message in a public folder if they want to share it with their teammates. Replies can be posted directly in the public folders - this way it is possible to develop different discussion groups inside the company. CodeTwo Public Folders helps the manager to delegate tasks to the team. Each team member has to grant the manager access to their personal task folder. The manager will now be able to create new and supervise the existing tasks directly in these employees’ folders. Of course, simultaneously a new public folder can be created to include shared goals for the whole team. If you already work on shared tasks, thanks to CodeTwo Public Folders you might also consider adding CodeTwo Task Workflow to your Outlook tools. This great free Outlook task manager will let you easily assign workmates, send notifications, change substatuses and generate workflow statistics for tasks with a few clicks. 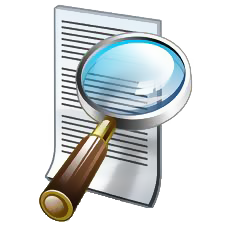 By assigning a public task folder to every project, a coordinator can define tasks concerning the project carried out by him in one place. The task can contain a detailed description, the name of the person responsible for it, due date, priority, percentage of completion, etc. Furthermore, you can define other folders of a different type, containing a variety of data concerning the project: the project calendar, related contacts or correspondence history regarding the project. The employees performing the task can define the current stage of its completion in Outlook, which enables the coordinator to plan, control and optimize work. The Outlook task management feature can be additionally enhanced with an Outlook addin called CodeTwo Task Workflow. This free Outlook extension streamlines project management in Outlook by adding a bunch of additional functions to the tasks, e.g. automatic notifications, substatuses and statistics. 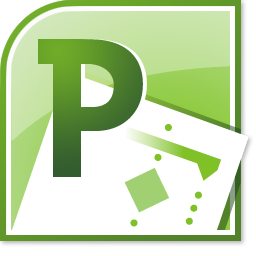 The program works with private and public tasks in Outlook, which makes it a handy companion to CodeTwo Public Folders. There a plenty of cloud services for sharing files between computers. Why did we create another one then? Unlike other popular file sharing programs, CodeTwo Public Folders allows you to share files with others directly from your Windows folders without storing them on any external servers. This way you are creating a sort of personal cloud that is available only to you and can never be intercepted and read by anyone other than your workmates. Sharing personal photos, music and documents (including sensitive data) is no longer giving you goose-bumps. Even if you share your stuff over the Internet, CodeTwo Public Folders encrypts your data before it is transferred to other PCs. It’s also a good idea to use the File Sharing App of CodeTwo Public Folders to dump email attachments and simply share your files with your email recipients. This way you save a lot of space in your Outlook PST or OST files and stop cluttering others inboxes. Watch short videos about CodeTwo Public Folders to see how simple it is to install, configure and use the program. If you have any questions, feel free to contact us. How it works - Sharing Outlook and files made simple. Spend two minutes to learn about CodeTwo Public Folders and its main features. How to share Outlook calendar with others - Here’s how to share Outlook calendar with others with just a few clicks using CodeTwo Public Folders. How to install CodeTwo Public Folders on your PCs - Follow these step to quickly install CodeTwo Public Folders on your computers and start sharing Outlook and files in no time. Take a quick look at the program’s user’s interface. We did our best to make it as user-friendly and as light as possible to let you immediately start working with the program. CodeTwo Public Folders taps into your Outlook and enables sharing its data with others in real time. All users see the same structure of public folders in their Outlook’s navigation pane. You can choose two ways of syncing your data or quickly connect to the Demo server to see how the program works without setting up a full environment. The Administration Panel will help you manage access rights to shared folders, create backups, restore deleted items and more. Shared contacts in Outlook. They can be accessed and edited by other users. Shared calendar in Outlook. Sharing Outlook calendar will e.g. let a secretary update the boss's calendar remotely. Sharing files with the File Sharing App. You can securely share any Windows folders and files with other users. Sharing files from your computers has never been easier. It’s also safe, so you can share sensitive data too. The installation is quick and simple. Just follow the wizard or ask tech support for help - it's free! In order to use the full version of the program, you need to purchase at least the Base Package, which consists of three Client Apps (CALs - Client Access Licenses) and one Syncing Master. If you already own the Base Package and want to use the application for more computers, you need to purchase additional licenses. The price of the Base Package is $200.00 USD. Note! Internet synchronization is an additional service. It costs $60.00 USD on top of the base package. If you need larger quantities above the base package, please contact us at sales@unitedaddins.com.